Powerful books. Where did you find Mary Baxter’s books? My mother-in-law bought both of them to read while on a trip and told me about them. Then she let me borrow both. I am still reading the Heaven one. I love her writing. 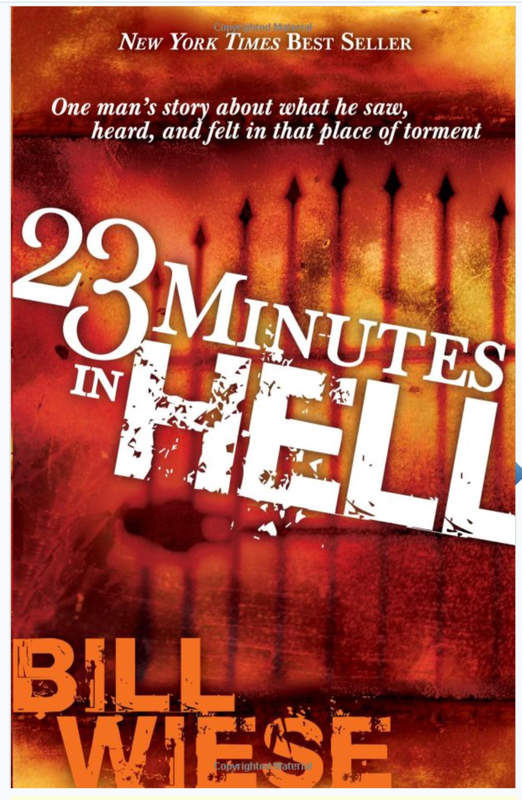 Did you get the 23 minutes in Hell as well? I bought that one used on Amazon for $0.01 because I became hungry to let others know about this eye opening accounts. I knew New Testament described a lot but although read OT several times, never paid attention to so much detail and descriptions!!! Blown away and scared for those who wont listen. I think of this EVERY SINGLE day since I read these books. I read that one a while ago. That is also a very profound book. Have you read them as well? You read 2 books THAT fast? I only posted them in the last 3 days!!! I am beyond impressed. Wow!! You are beyond a book worm. haha. I think you will finish heaven account before me. I take days!! Sometimes weeks. I process a lot. I will probably read it again and again. There’s a lot to digest. I agree!!! I have just told my kids that there are 3 books that totally changed my life. The way I think and the way I see life and eternity now. 1. The book that taught me how to journal and hear God’s voice for myself, 2. The Final Quest by Rick Joyner and now 3. Divine Revelation of Hell. Everything we do in this life has to count in eternity!! Eternity is all that matters. Because we will live for all eternity. Its just WHERE we will spend it. Did you read my post , ” I prayed the prayer ” ? I have not. Can you post the link here? It will be good for others to read as well.